Veloce ® cycling and bike rental company : Paul Smith and Giro d'Italia collaboration : the 2013 Giro pink jersey ! Paul Smith and Giro d'Italia collaboration : the 2013 Giro pink jersey ! 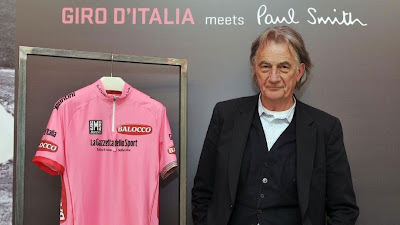 Few hours ago the Giro d'Italia organization presented (via @giroditalia) the 2013 pink jersey ' Maglia Rosa ' designed by the fashion stylist Paul Smith that at this link write about his collaboration with the Giro and design choises.